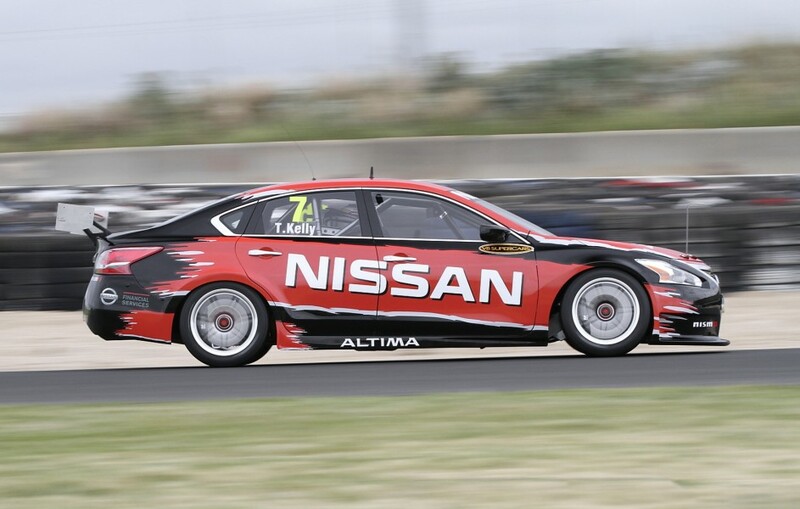 Nissan has a rich and storied history in Australian motorsport, particularly in touring car racing that has carried on since the introduction of the Altima race car in the Virgin Australia Supercars Championship. When the news landed in early 2012 that Nissan was going to join Holden and Ford in what was then known as V8 Supercars, a new chapter of Nissan Motorsport history was about to be written. 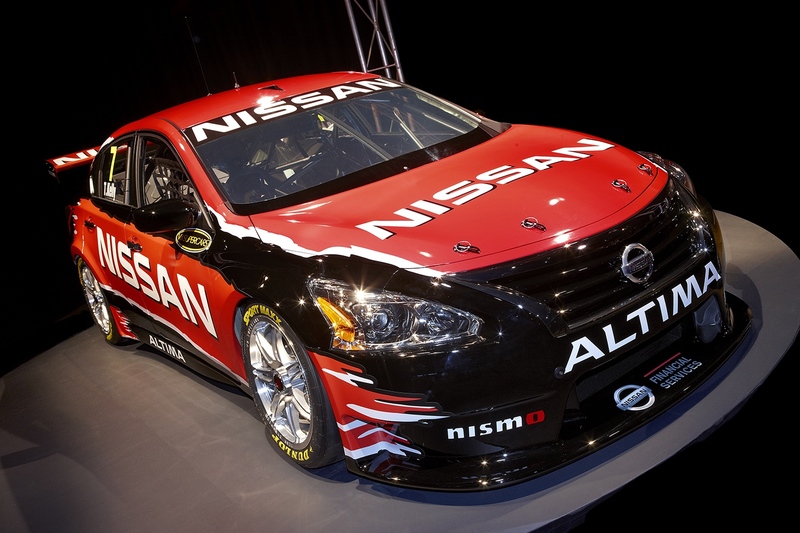 The covers came off the first non-Holden or Ford Supercar in history in October 2012 at the launch of the new Nissan Altima race car in Melbourne, where the red, black and white racer made an instant impression. But what happened to this very first Nissan Supercars challenger? This particular question has been brought even further into focus in the wake of the huge multi-car accident in Tasmania that wrote off Kelly’s #15 Sengled Altima chassis and prompted him to step into the team spare from Phillip Island onwards until a new car can be completed for him. It’s this original Altima - chassis 003 - that Kelly has moved into to keep him on the Supercars track, and it’s one that is packed with interesting history. The chassis was actually the third built on the jig at Nissan Motorsport’s facility in southeast Melbourne (hence why it’s known as chassis 003), but was the first actually finished as a completed car. At the launch on October 30, 2012 it appeared minus its wiring loom and dashboard, with work continuing at the team's workshop to have this completed and installed for the car's first on-track laps. It underwent its first on-track running three days later on Friday November 2 at Calder with Todd Kelly running the first three sedate laps given he was still recovering from shoulder surgery. He turned the car over to Nathan Pretty who drove it in the aerodynamic test for the rest of the car's running on the day gaining data for the team and Supercars officials. 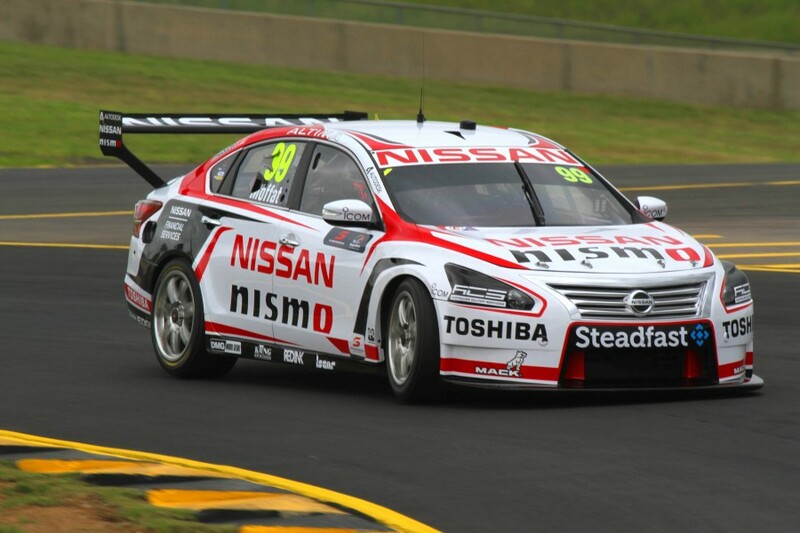 Rick Kelly had his first drive of the car as part of demo laps at the Sydney Telstra 500 later in the year and it became James Moffat’s Norton-backed #360 Altima when he joined the team for the 2013 season. 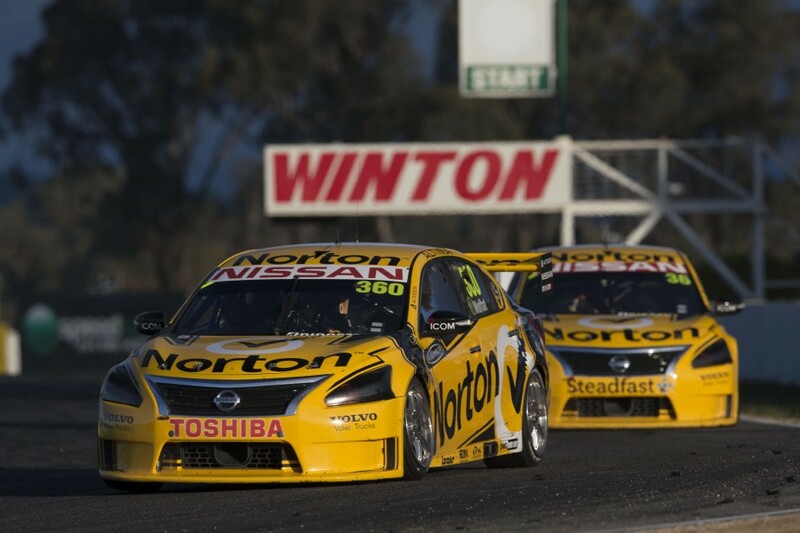 As many Supercars fans will remember, Moffat went on to claim victory at Winton during that year to score his first Championship race win and Nissan’s first since 1992 with teammate Michael Caruso running home behind in a team 1-2. It wasn’t without controversy given the Altimas that weekend had been permitted to run on a different blend of ethanol fuel (E70 instead of E85) in order to make them more competitive with their Commodore and Falcon counterparts. "We have all worked very hard to get to this point in your career and to break through for your first victory means a lot not just for me but the people who have helped me along the way,” said Moffat post-race. The Winton win was also the first time a Moffat had won an Australian Touring Car/Supercars Championship race since his father Allan had won in a Mazda RX-7 at Wanneroo Raceway in Perth in 1984. This particular car was Moffat’s throughout his entire time with the Nissan Motorsport team. He ran it through the remainder of 2013 and into 2014, a year highlighted by a second place finish at Bathurst alongside Taz Douglas. 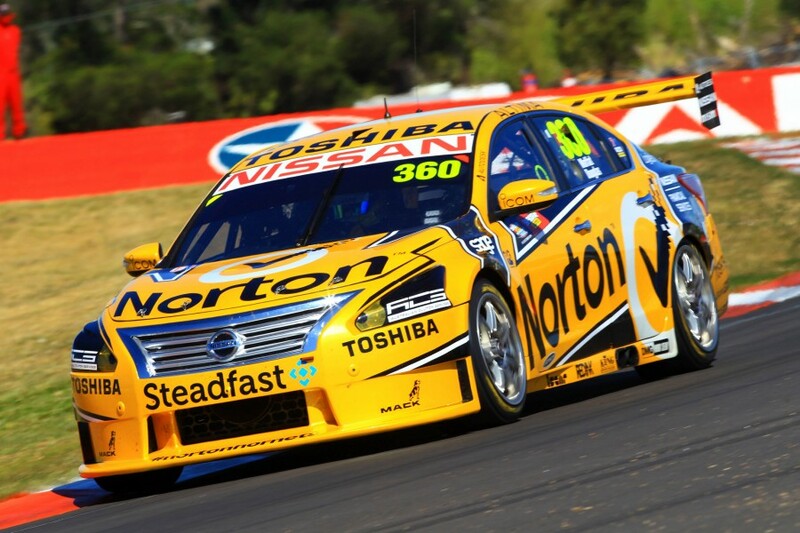 The car had a number change for 2015 and became #99 in the wake of the departure of sponsor Norton with Moffat’s best finish for the year in this car a fourth in Darwin. His final appearance at Sydney Olympic Park resulted in a crash, so this chassis became a spare in 2016 once it had been repaired. It was not called up for duty by the Nissan team last year, though was earlier this month for Rick Kelly to drive after his 006 chassis was totaled in the huge Symmons Plains crash. The salvageable running gear from Kelly’s crashed car was moved into this car, which will serve the 2006 Supercars Champion through until he receives a new chassis in time for Townsville in July. Once that occurs the very first Nissan Altima Supercar is off to MW Motorsport to be driven by Bryce Fullwood in the Dunlop Super2 Series. "This incident has brought our build process forward a few months," says Nissan Motorsport team manager Scott Sinclair. Saturday Sleuthing takes a break next weekend for the Perth SuperSprint but will return on Saturday May 13 with a special look back at a car that claimed victory at Winton 20 years ago.